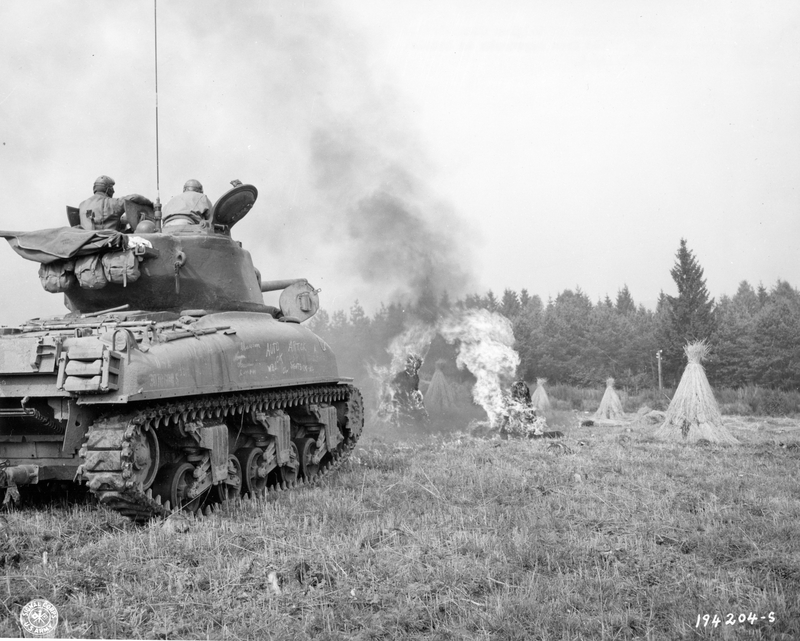 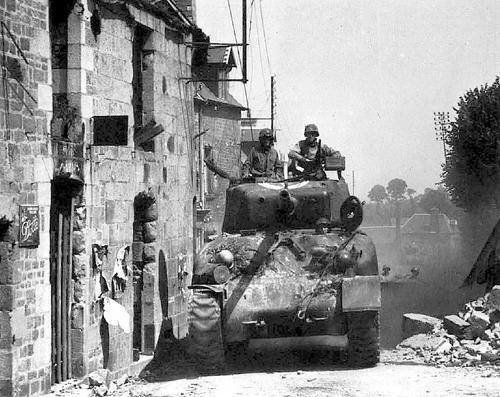 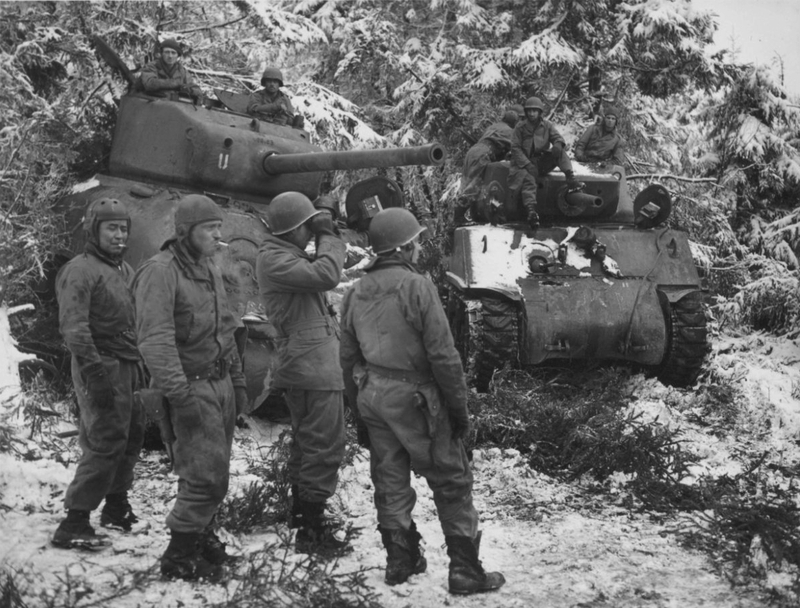 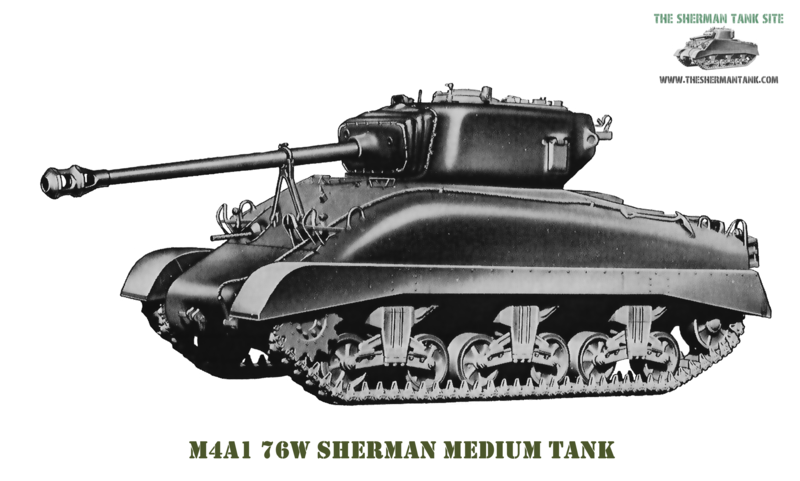 The M4A1 76W tank was the first of the Sherman 76 tanks to see combat in US hands. 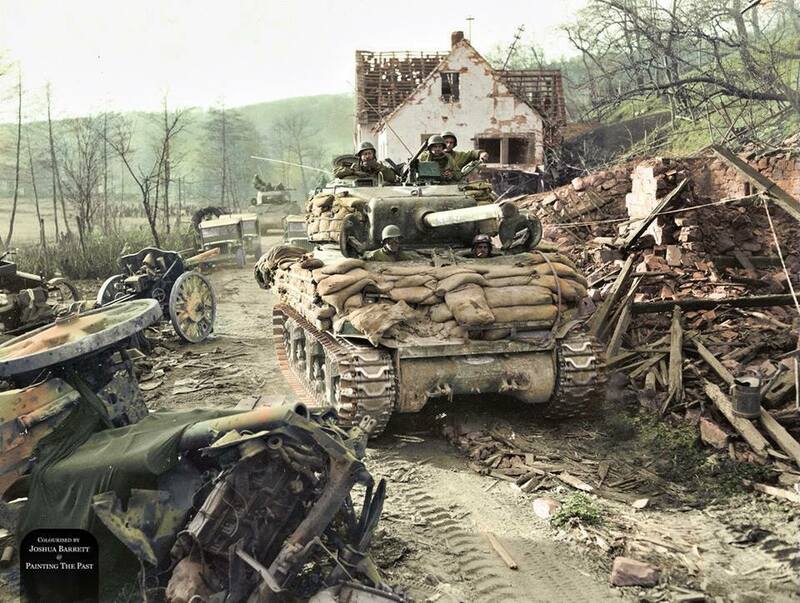 These tanks were actually in depots in England, in time to be issued to units for D-Day, the Normandy Landings, but no one wanted them at the time. 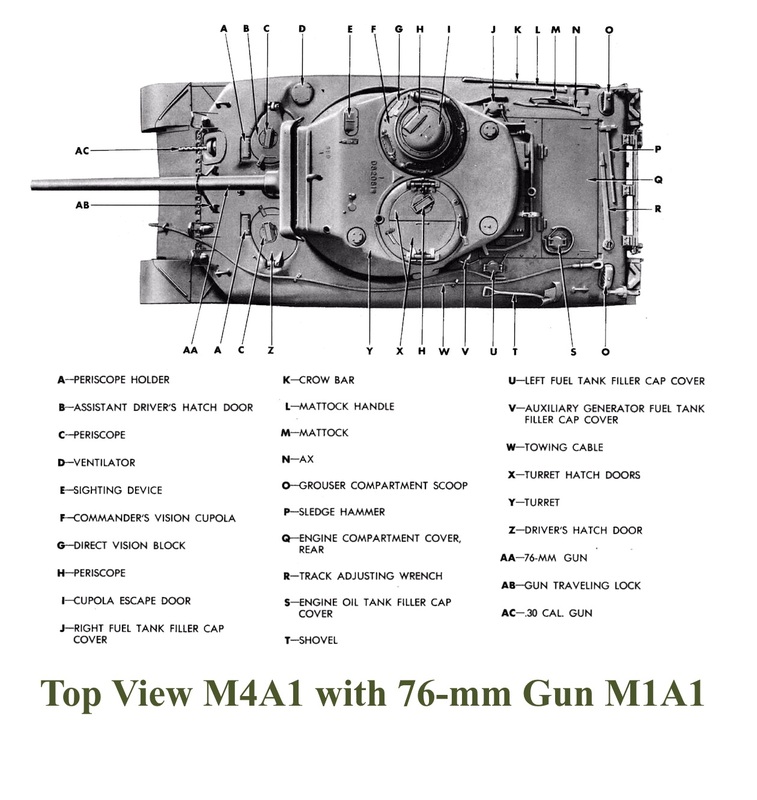 There were good reasons for this, the main being a lack of time to train on them before the landings, and no one wanted the added supply problems feeding the M1A1 gun would have caused. 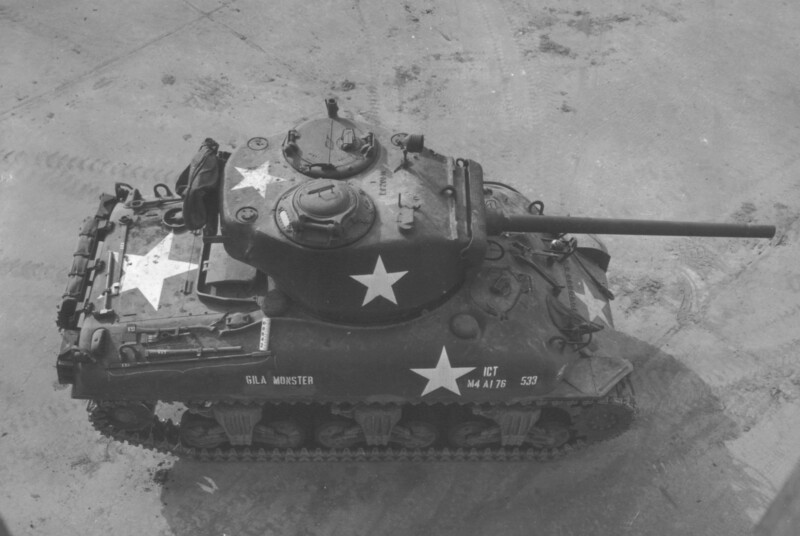 These early M4A1 76w tanks had unthreaded M1A1 gun and split loader’s hatches, in some cases the split loaders hatch halves would not open past vertical. 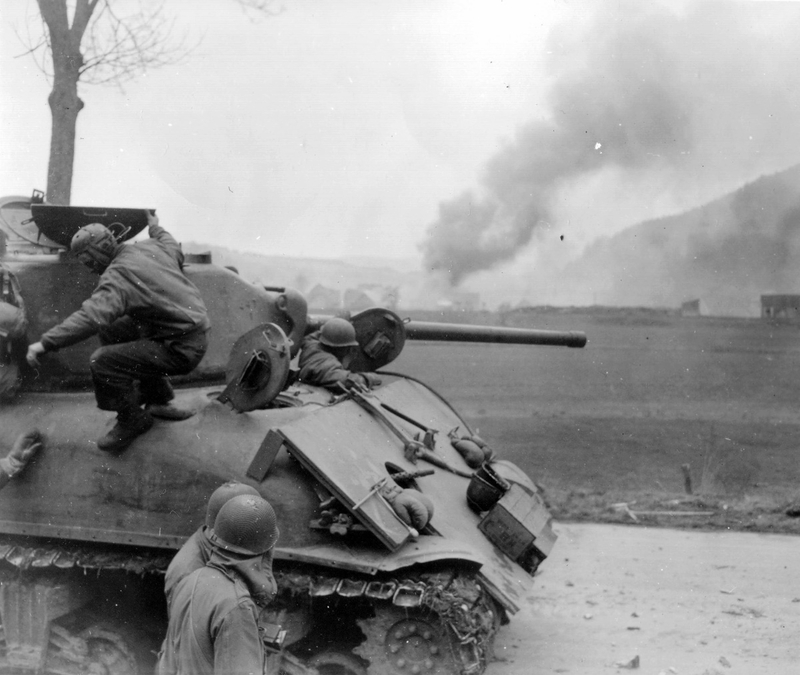 Some also lacked the ventilator bulge on the rear of the turret. 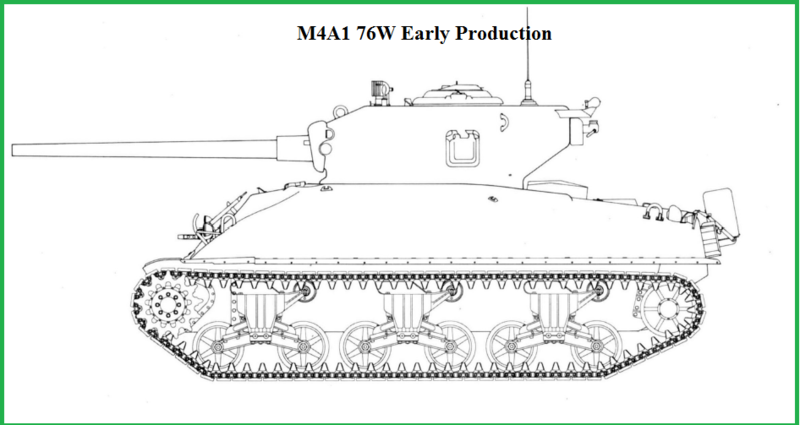 All versions of this model had the improved oil gear turret traverse system and the improved, simplified stabilizer. 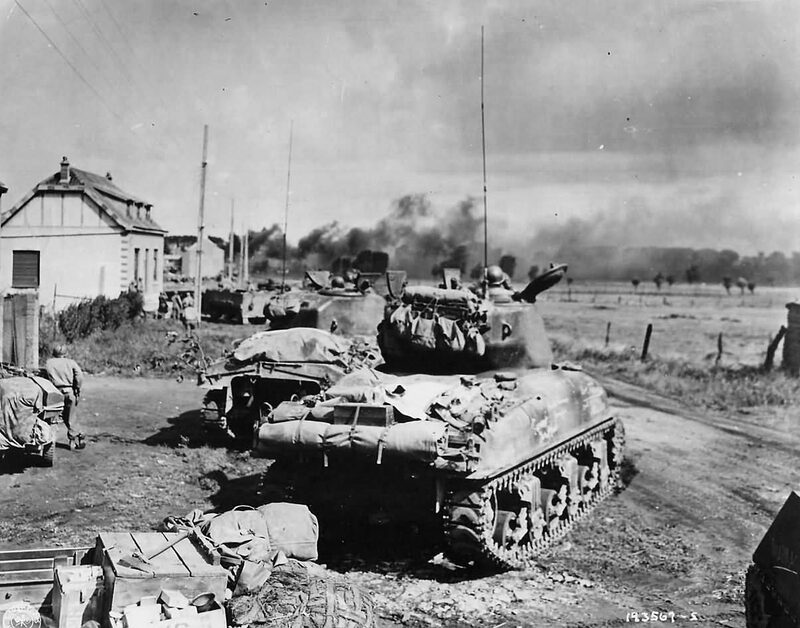 These tanks were set up for each crew member to have an M3 grease gun, the Thompson being dispensed with. 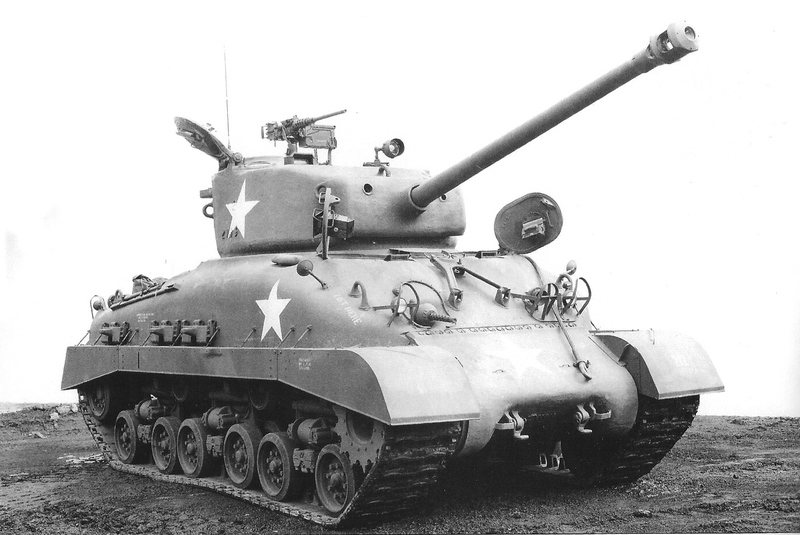 Early M4A1 76w tanks with the split loaders hatch, used the mount on that hatch ring for the M2 HB machine gun. 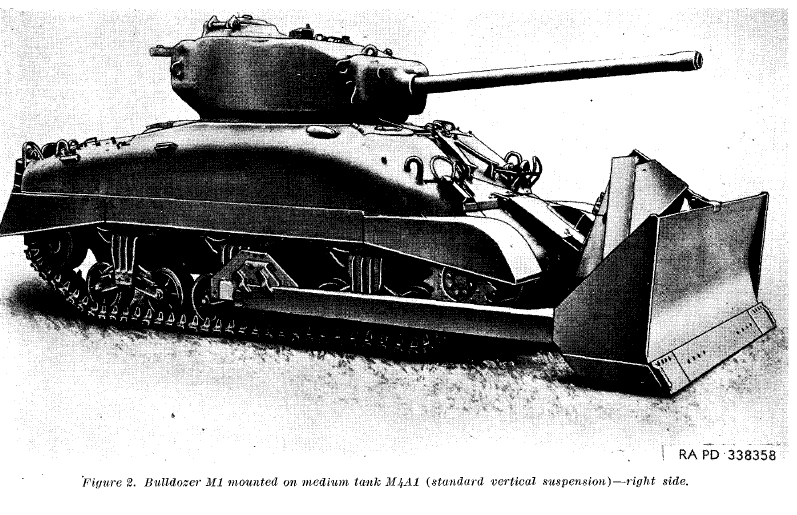 Later version with the improved T23 turret with oval loaders hatches mounted it on a post between the loader and commanders hatches, slight to the rear. 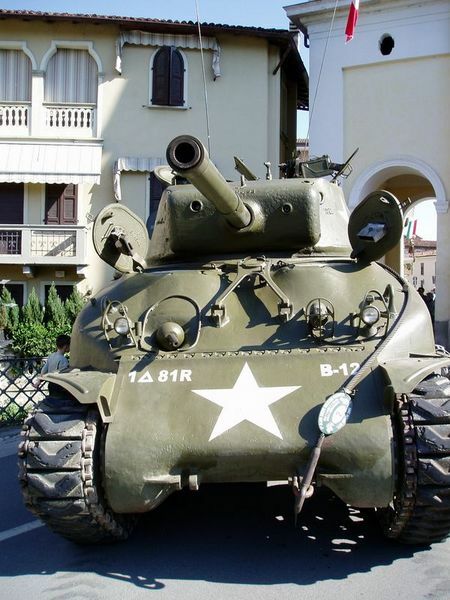 Squirrel(here and pictures below), a beautifully restored M4A1 76w tank, is of slightly newer vintage than the Operation Cobra tanks, since it has a threaded barrel. 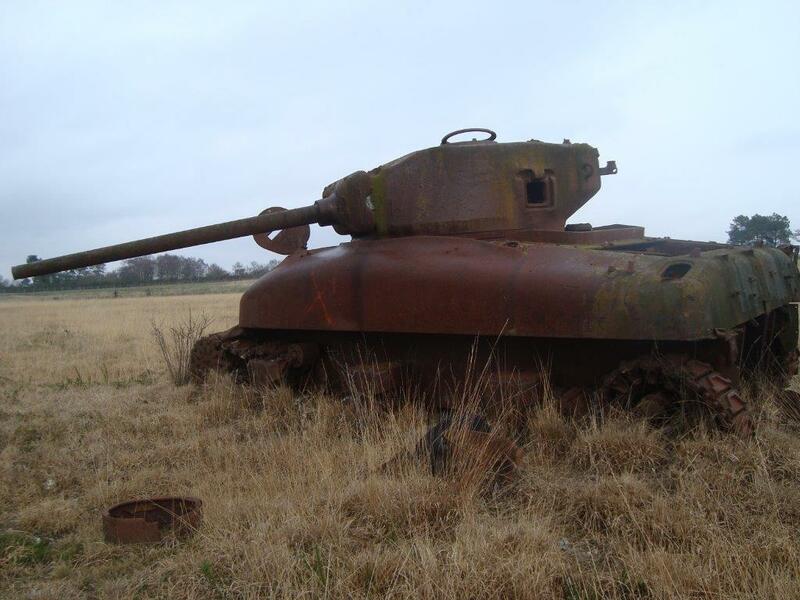 The tank is owned by Panzerfarm, The Kęszycki Brothers Collection in Poland. 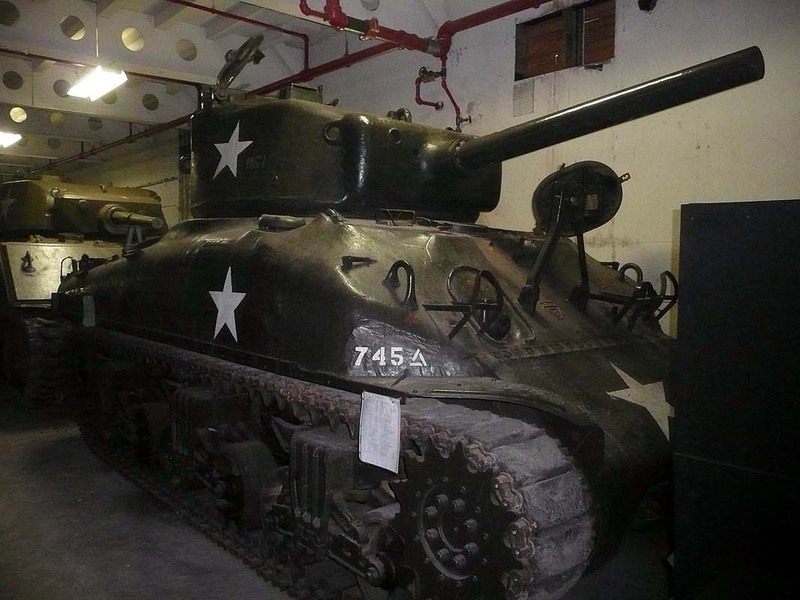 The tank probably saw service in WWII and use with the South African military. 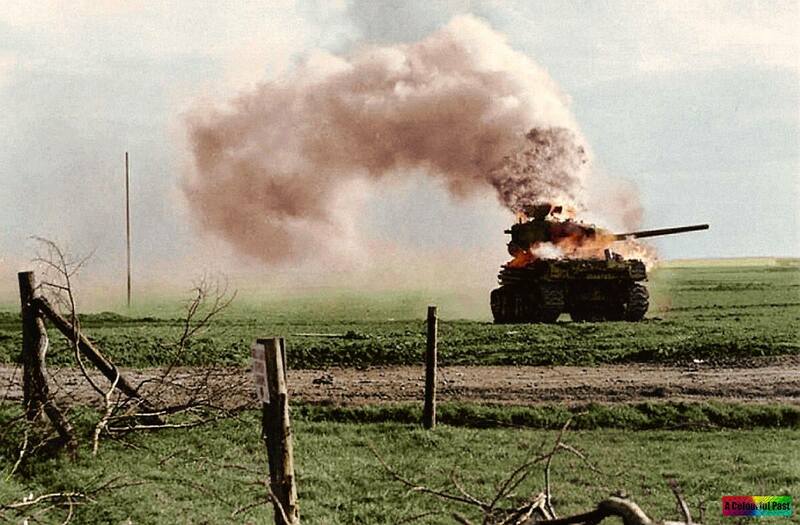 There were some complaints about the flash and smoke, plus the dust stirred up since the gun had no muzzle brake, made it hard to track a shot and correct on it, this was solved by adding a muzzle brake in later production tanks. 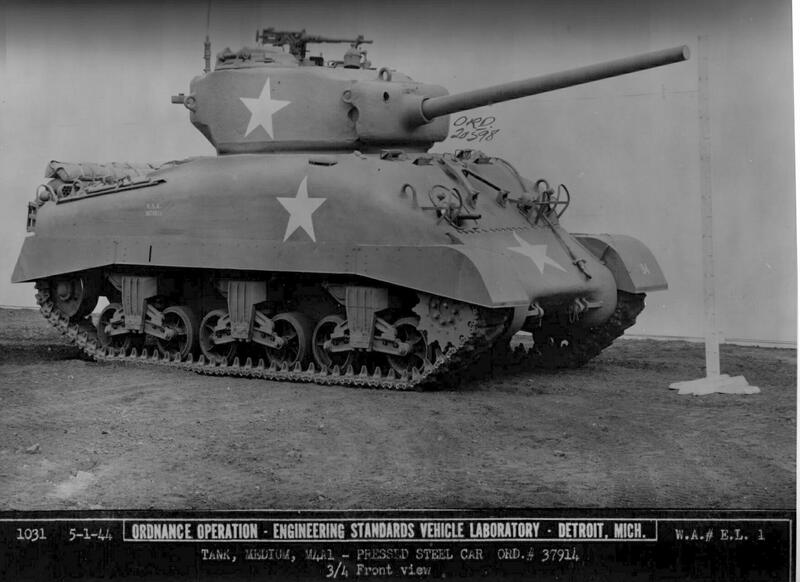 The problem was not as severe as it sounds, since the M1A1 had good velocity, at normal combat ranges, it shot flat and was easier to hit targets with than the M3 75mm. 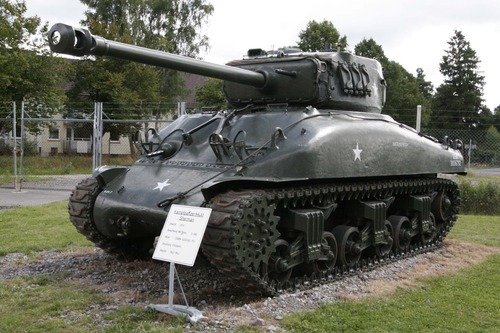 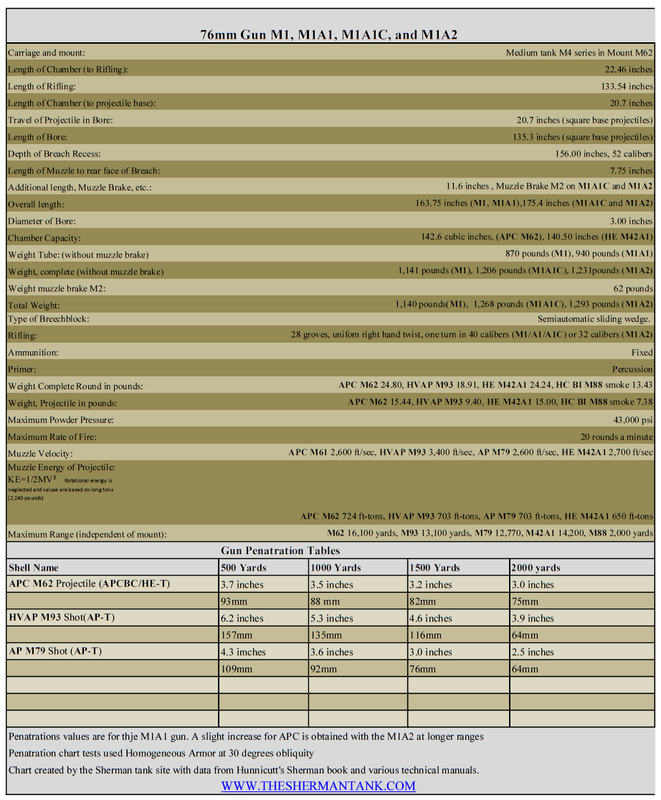 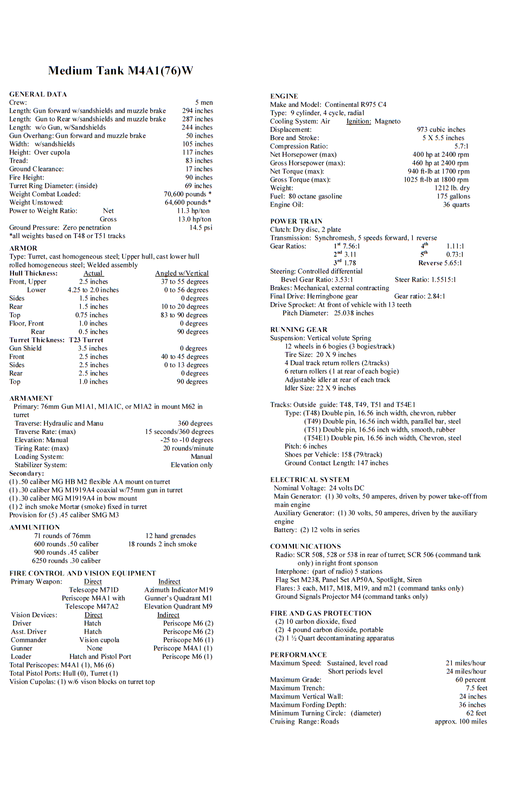 Eventually, M4A1 76 tanks would get all the upgrades all the late second-gen Shermans got, including HVSS, but the HVSS tanks did not see combat in WWII, they made it to replacement depots in Europe, but none made it combat units. 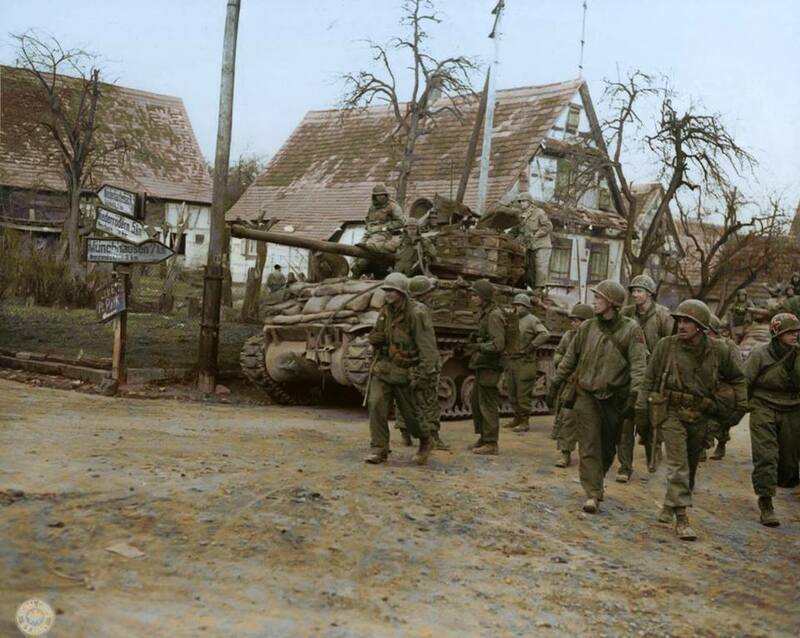 A batch of these M4A1 76W HVSS Shermans ever produced. 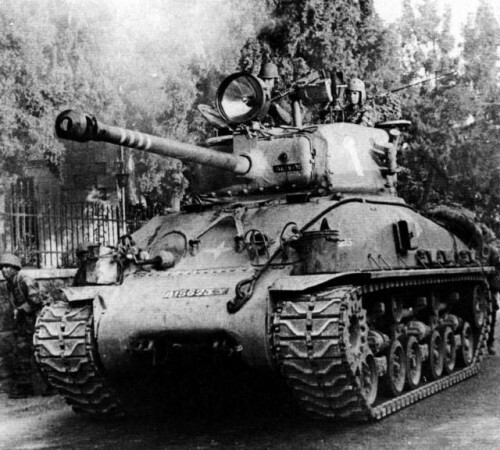 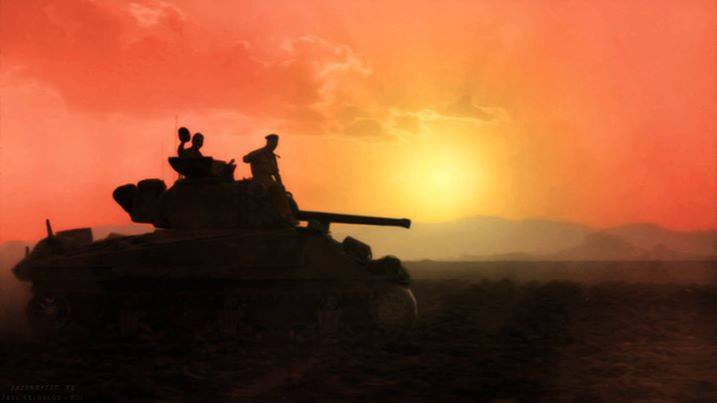 The M4A1 76w would see extensive combat post-war, in Isreali hands, and even down in Africa. 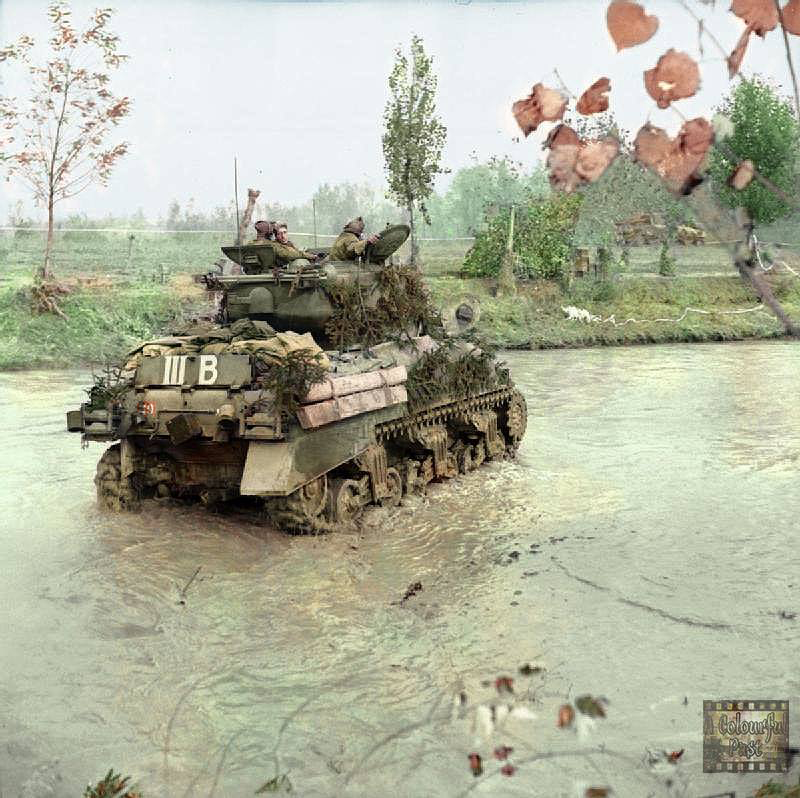 Check out this link to see an extensive PDF listing of the survivors of this version here, over at the Surviving Panzers Website. 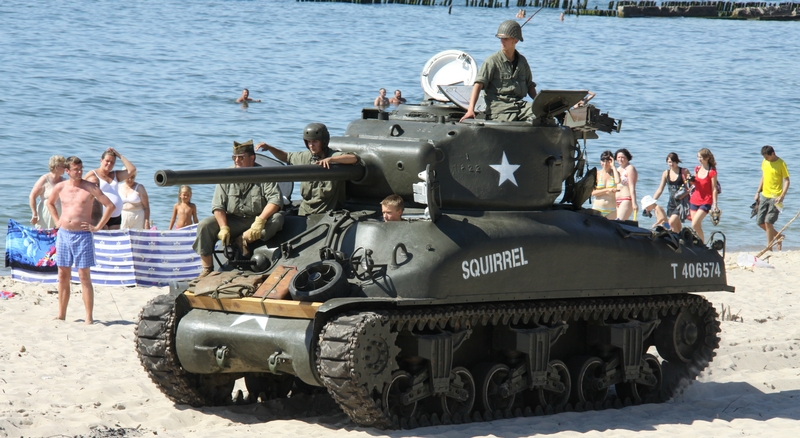 Squirrel is being driven by a kid in this picture! 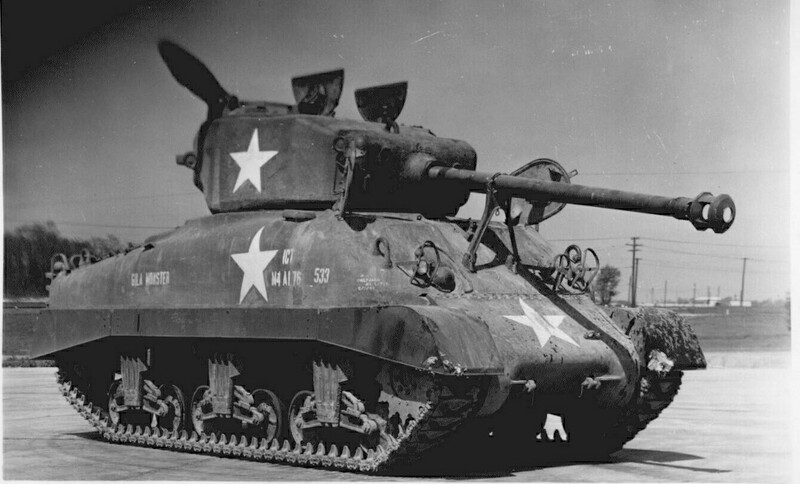 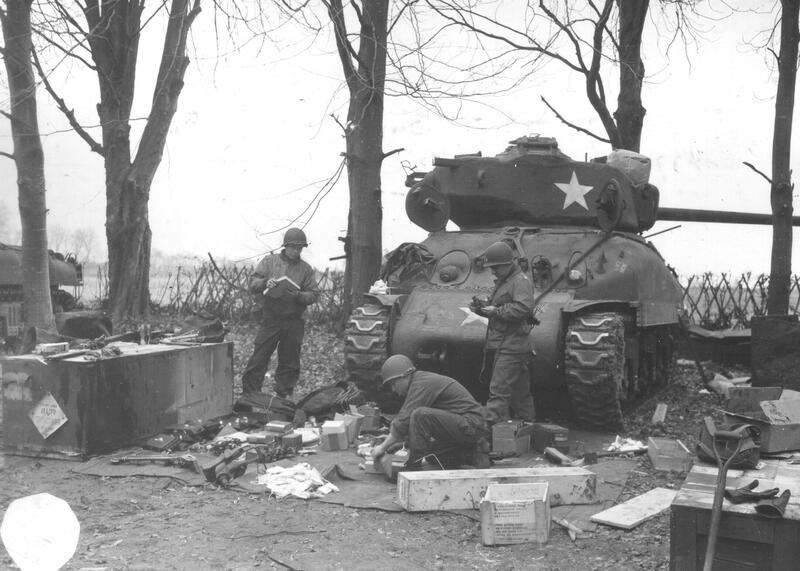 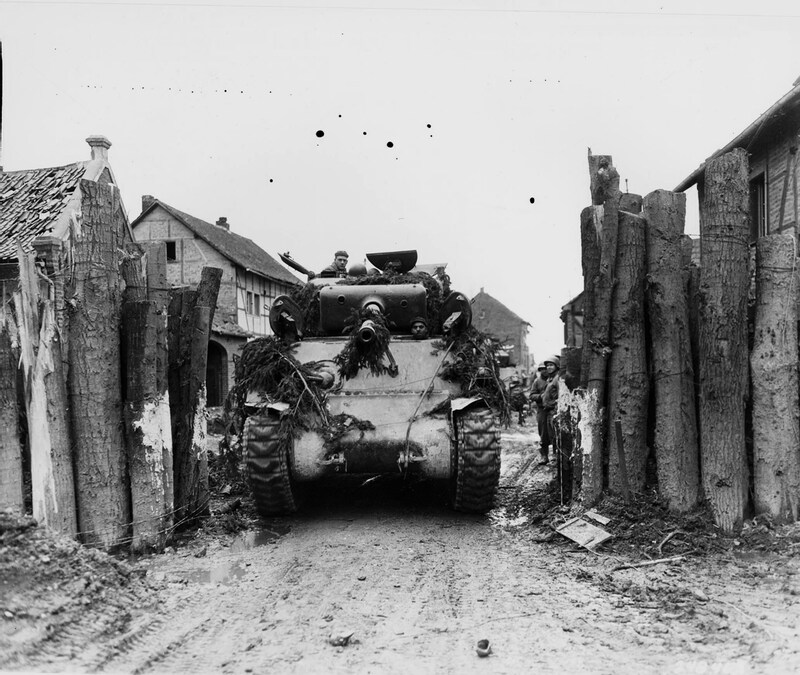 The M4 and M4A1 Shermans were the hardest to drive, but no Sherman was hard to drive. 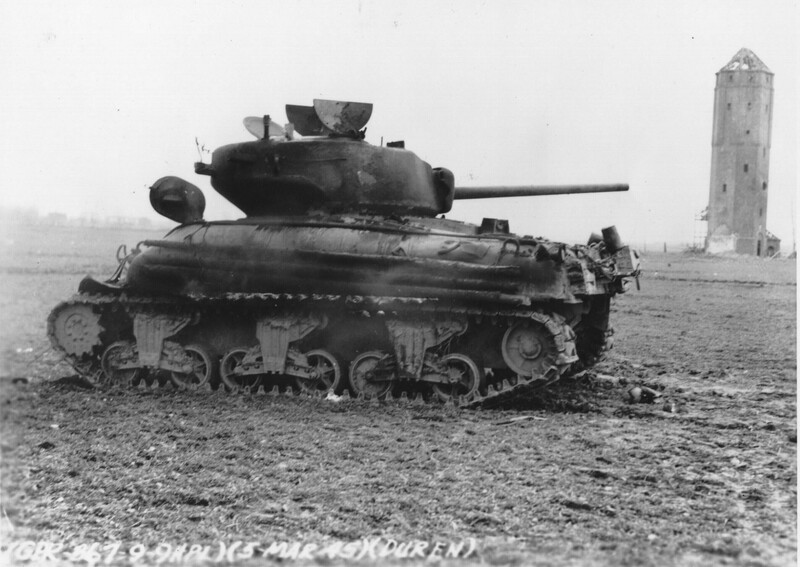 This section will be colorized photos of this tank. 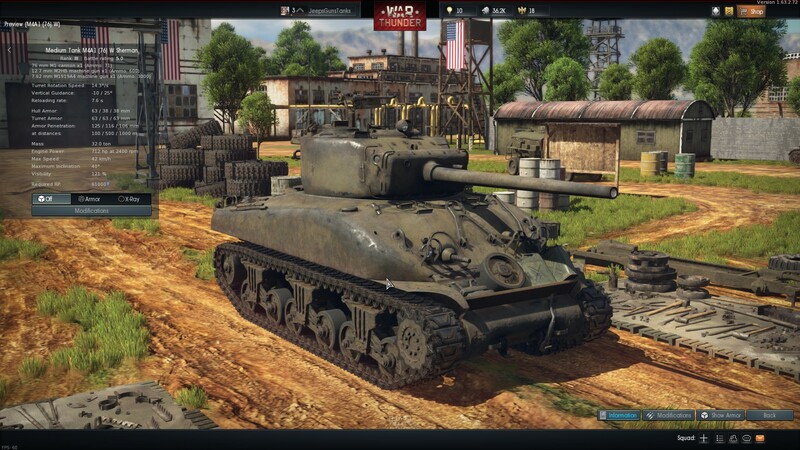 They have gotten really good.